Calling all Bedazzlers! 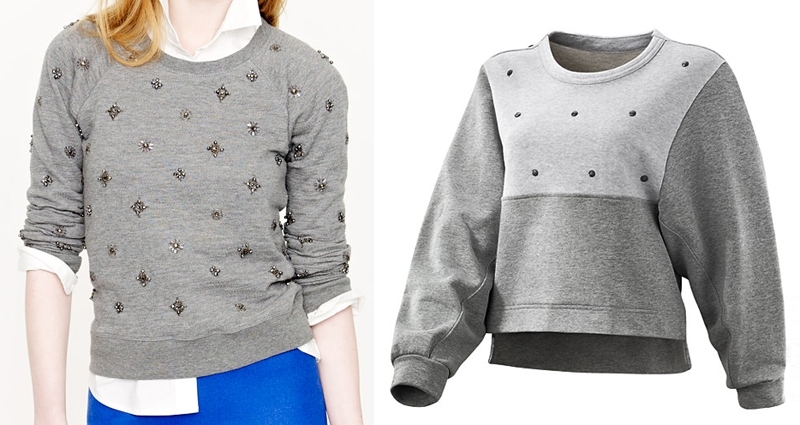 Jewel studded sweatshirts are all the rage. Buy one from J.Crew, Anthropologie, Urban Outfitters, Stella McCartney for adidas, or better yet...MAKE YOUR OWN! Studded pullover sweatshirts are the newest way to dress up your fit look and transition to a post-fitness scene. Shoot for a sweatshirt that's athletic gray and feels worn-in already, because these sweatshirts are dry clean only.